KidStart Magazine > Competitions > WIN a Fabulous FirstBIKE! Spooky competition time! 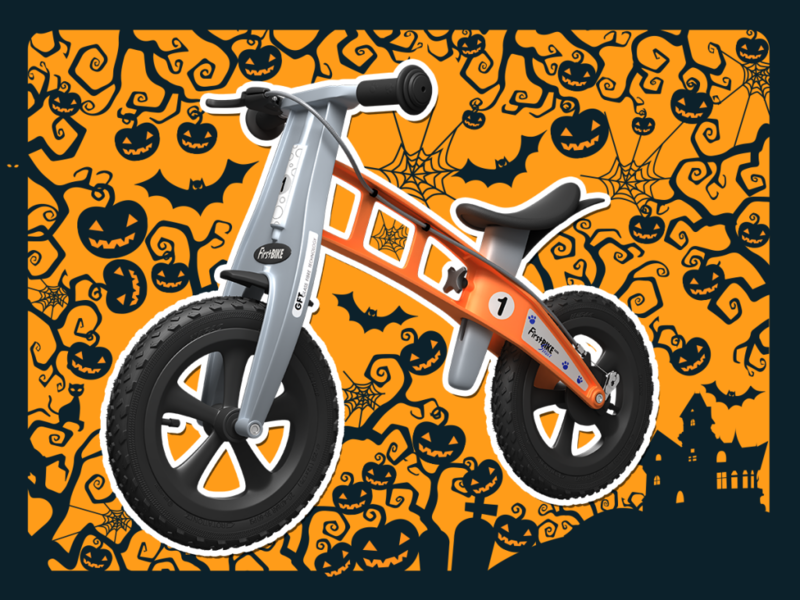 Count the pumpkins nestling around this FirstBIKE balance bike for a chance to win a bike of your very own. 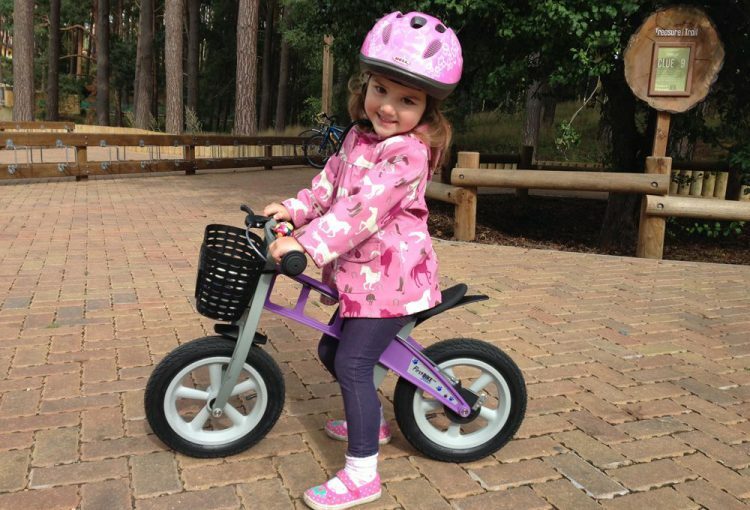 FirstBIKE balance bikes are designed for kids from 2-5 years and packed with fantastic safety features including a rear drum brake and a steering limiter to help prevent any tumbles. The bikes have a high-tech composite frame that makes them extremely lightweight, durable, and totally weatherproof, perfect for the British winter! To enter the competition (COMPETITION CLOSED) simply count the pumpkins nestling around the FirstBIKE and comment on Facebook here. The winner will be the correct answer, if there’s more than one it will be chosen randomly. However, the most popular and active comment based on likes, shares and comments/replies will positively influence the judges if there’s more than one correct answer. To see the competition entries please go here. FirstBIKE balance bikes have recently won a whole host of awards, including a ‘Gold Award’ from Prima Baby Magazine for best pre-school toy for 3 years plus, a Practical Preschool ‘Silver Award’, FQ ‘Best Value Award’, Little London Magazine ‘Best Toy or Accessory Runner Up Award’, a Junior Design ‘Highly Commended Award’ and finally the Dad’s Choice ‘Best Bike Award’! Phew! So it’s not just us who think they are the coolest bikes for toddlers around! To win the first of three bikes simply tell us how many Spooky Pumpkins are hiding in the picture above! We have three bikes up for grabs until Christmas. We will announce the winner of the first competition on Halloween Eve….! Check out www.first-bike.co.uk for more photos and action videos. To enter the competition simply count the pumpkins nestling around the FirstBIKE. Enter here via Facebook. Competition ended on Monday, 31 of October. Keira K., from Lincoln. With the correct answer of 28 pumpkins. If you didn’t win we can still offer you 25% KidStart savings with the FirstBike.